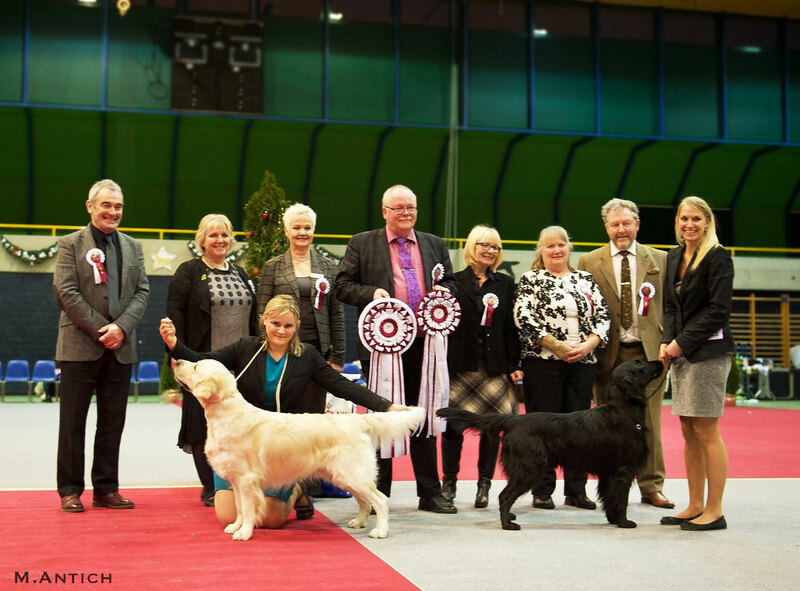 One of the highlights in the showyear- the perfectly organized Clubshow of the Swiss Retriever Club! 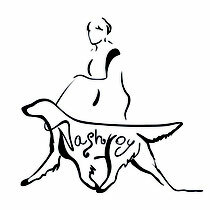 We had a fantastic last showday in 2015!! Ch. 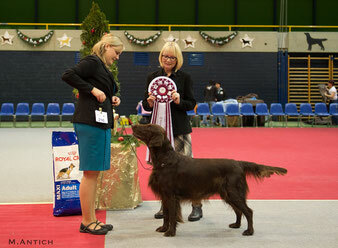 Camwood Copper Magic In Motion- "Mexx" Exc1, vCAC, Best Veteran Of Breed, BEST VETERAN IN SHOW!! JCh. Xanthos Nimbus- "Dancer" Exc1, CAC, BOB, BEST IN SHOW!! jCh. Xanthos Nimbus was the star of the day!! 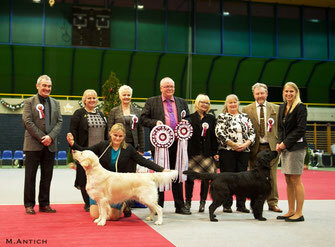 With only 21 months he managed to win the breed and also BEST IN SHOW in an entry of more than 300 retrievers!! Ch. Camwood Copper Magic In Motion BEST IN SHOW VETERAN again!! 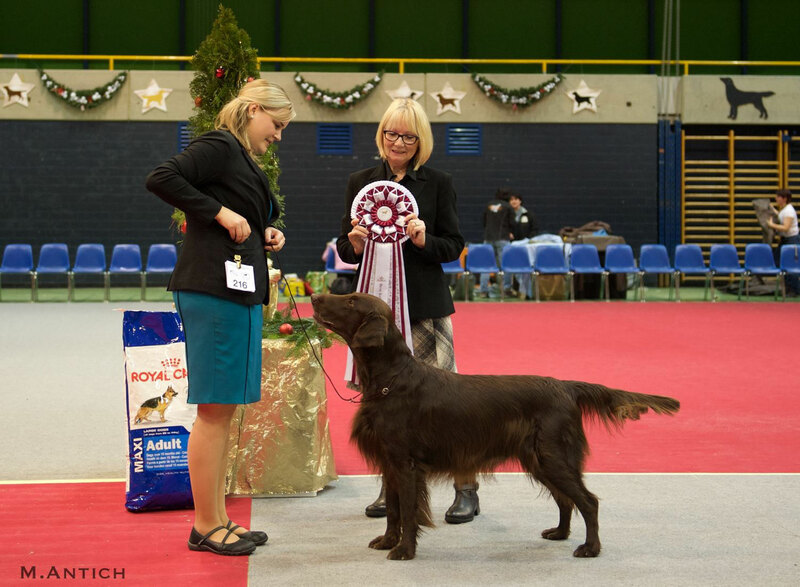 He had a fantastic 2015 and truly enjoyed his time in the ring! !